Receiving a degree from an educational institution is a prestigious achievement. It is important to keep this document well preserved. Our diploma covers are the perfect option to keep your degree looking brand new. This tent-style cover has a blank canvas that is perfect for your own customization or you may just want to keep it plain. The soft, faux leatherette cover is padded with lush 3mm foam for added protection of your valuable document. Each piece features a single white moiré fabric top panel and 4 ribbons adorn the corners to firmly attach your certificate. 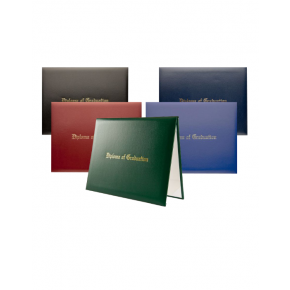 These covers also include a protective acetate sheet to shield your diploma from wear and tear. How Do I Use my Diploma Cover? 1. Remove cover from package and make sure it's the correct color and size. 2. Remove acetate and tissue paper from cover. 3. Carefully take your diploma certificate and slowly insert the top left corner into the small triangular corner ribbon, and repeat for next three corners. 4. Replace the acetate protector over the diploma by sliding the edges in place as described above. Choose between 4 sizes in Black, Navy, Royal, Maroon and Forest. Are you looking for something a little more personal? We also produce custom diploma covers. If you are interested in ordering 25 or more, please contact us! White Silk Moiré Top Panel, 4 White Corner Ribboned Bottom Panel with Acetate Diploma Protector. How do I know my diploma will fit your diploma cover? 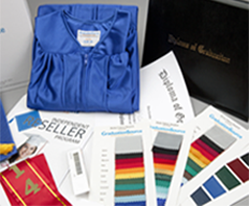 We offer 4 popular sizes that are should work for most schools and universities' diplomas. The sizes are 6x8,7x9, 8x10 and our most popular 8.5x11. 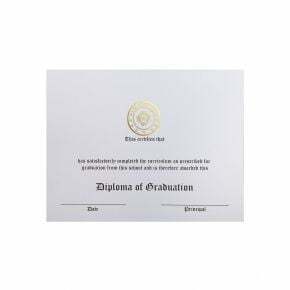 What is the orientation of the diploma covers? The stock diploma covers are top fold also known as "tent style." How do I know my diploma will stay in place? There are four ribbon corners that will keep your certificate in place. Anyone is welcome to order with us! 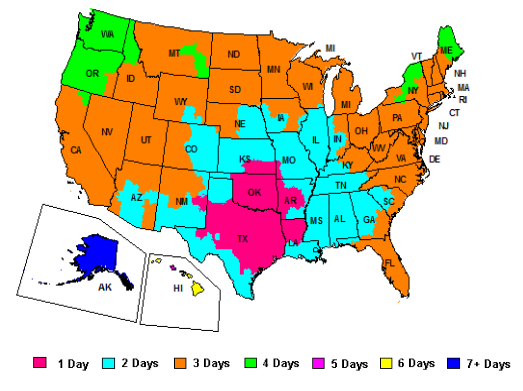 However, we cannot guarantee or be liable for our product colors matching another company's products. We offer unique shades that will not be identical to another vendor's products. Can I customize my diploma cover? Yes you can for a minimum quantity of 25 or more. Please contact us for more information: [email protected] or 1-800-352-6162. How do I know which cover to buy? You can measure the size of your diploma and choose the matching sized cover or contact your school’s graduation coordinator for that information.